Parts represent over one third of vehicle maintenance costs. 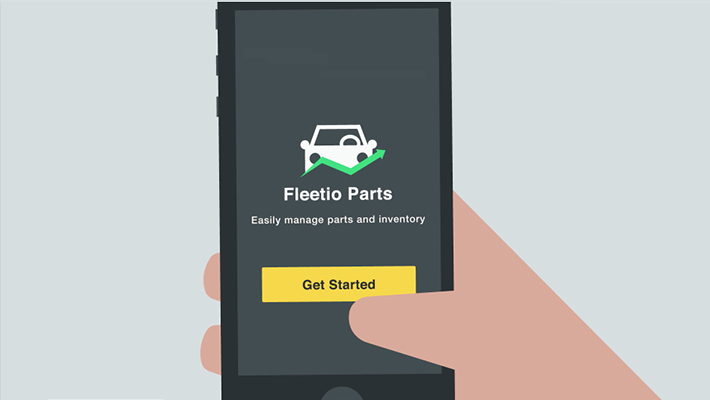 Whether you manage inventory in-house or just want to monitor spare parts and supplies usage on your vehicles, Fleetio keeps track of it all. Track quantities, parts usage and receive reorder notifications to ensure you always have the right parts on-hand to keep your vehicles on the road. Properly manage inventory quantities and locations to avoid purchasing and/or storing unnecessary parts. Improve the process of ordering and purchasing fleet supplies, lowering costs and avoiding vehicle downtime. Great system for tracking equipment costs, inventory, issues, history and all done electronically. 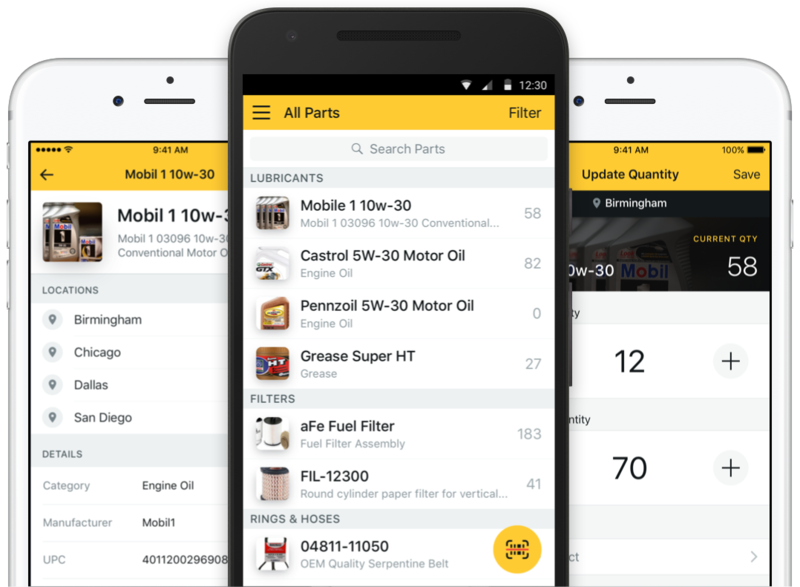 Track fleet parts and supplies with ease using Fleetio's web-based inventory system and barcode scanning mobile app. 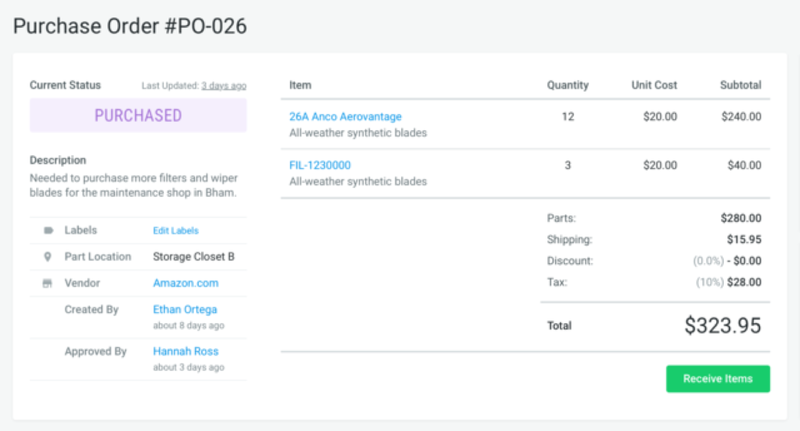 Keep track of all part details and get insight into part usage. 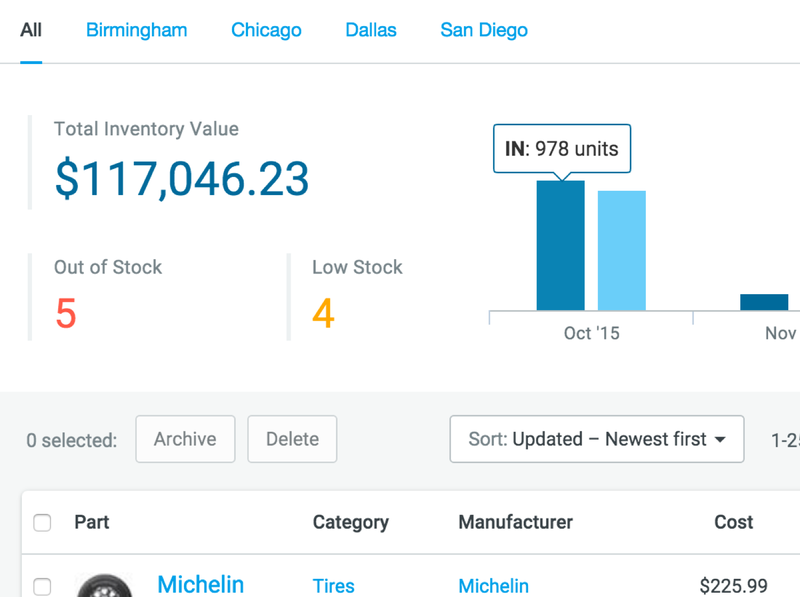 Instantly import your part database into Fleetio and begin managing quantities. No more spreadsheets! 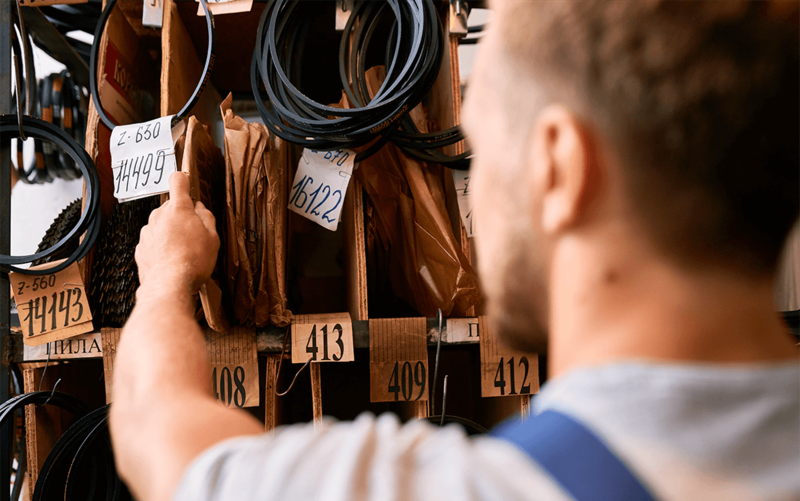 Streamline the process of ordering and purchasing fleet supplies. 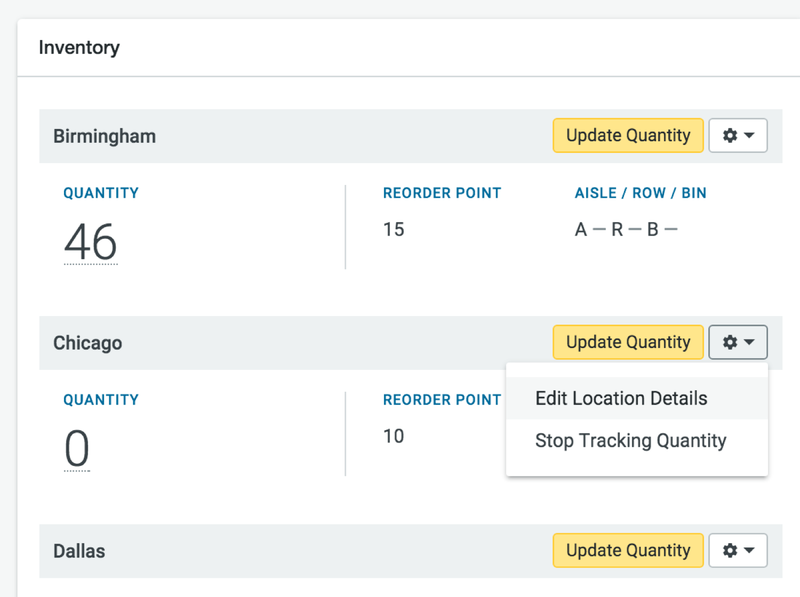 Create restock orders from inventory alerts, control purchases with approval workflows and get visibility into purchasing.